1 Daughters of the American Revolution Genealogical Research System, Ancestor #A070562 and #A033238. 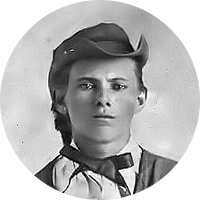 2 Beamis, Joan M. and William E. Pullen, Background of a Bandit: The Ancestry of Jesse James, 2nd Edition , Unknown: Unknown (1971), 62-66, FamilySearch.org (Online Database). 5 Warfield, Joshua Dorsey, The Founders of Anne Arundel and Howard Counties, Maryland: A Genealogical and Biographical Review . . ., Baltimore, Maryland: Kohn and Pollock (1905), 399 (wife Mrs. Rachel Lindsay mentioned), Google Books (Digital Library).